Laurier’s Faculty of Music students are some of the most creative young artists in the country. While their creativity flourishes in the classroom, they often have an entrepreneurial spirit, which leads them to create groups like The Yacht Club. Founded in 2017, The Yacht Club’s goal is to create New Music concerts that centre on a unified theme. Members of the group are all Laurier students and alumni. The first show of their 2018-19 season was Blast from the Past. Presented as an after school special, this show immersed the audience into a fictional world where the hosts would seamlessly move from music to conversation. A 2018 Region of Waterloo Arts Fund grant has supported the Yacht Club in funding two additional multi-disciplinary shows for 2018-19. The first of these shows, Art Inspires Art, will be an interactive evening of live music, spoken word and visual art. Audience members will use a provided canvas and art supplies, encouraging them to express what they hear. Hamilton-based acrylic and glass artist Danielle Ireson, will lead the evening with her own visual interpretation. Art Inspires Art takes place Jan. 25 and 26 at 8 p.m. at Open Sesame in Kitchener. Tickets are $15 for adults and $10 for students. Reserve your tickets at better.yacht.club@gmail.com. 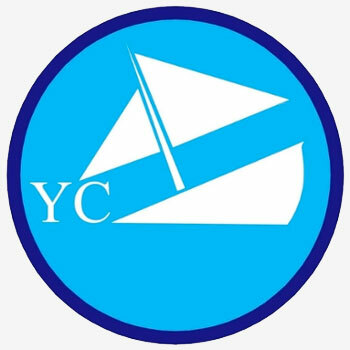 Follow The Yacht Club's journey on Instagram or Facebook.